EnerSource International launched in 2016 and operate in the health and nutrition MLM niche. The company is based out of Oklahoma and is run by Founder and CEO, Linden Wood. A defining ‘A-Ha’ moment in Linden Wood’s life occurred when Linden attended a network marketing event, hosted by the company Excel, at age 27. This would prove to be a defining moment resulting in his astronomical success in the network marketing industry. Over the next three years, with no official network marketing or public speaking training and without a mentor, Linden immersed himself in books and audios authored by highly successful network marketers and self-help experts, such as Tony Robbins. Through his dedication, he learned the principles which govern success. He quickly discovered that it wasn’t his own success that mattered most, but the success of the people who came into his business. Through this understanding, Linden achieved the highest levels of success Excel had ever seen. With his unrelenting persistence, Linden, along with his leadership team, built this team, to over 100,000 representatives in only three years. In 1997, this achievement earned Linden an income of over $500,000 a month. Wood eventually left Excel to start his own MLM company, WorldConnect. WorldConnect succeeded at growing to 60,000 representatives and reaching annual sales revenues of $50M a year by his fourth year in business. After WorldConnect Wood left the MLM industry and pursued other business interests (fitness and real estate). 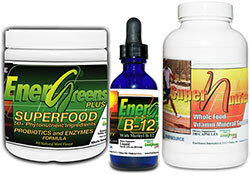 In 2001, Linden’s company EnerGreens Inc produced the cutting-edge nutritional products, EnerGreens Essentials. Over the next 7 years this company developed over 40 different nutritional products. Over the past 15 years, millions of dollars of these products have been sold successfully within fitness franchise systems. Linden is bringing this exceptional product line to the network marketing industry via EnerSource. Read on for a full review of the EnerSource International MLM opportunity. EnerSource International products can also be purchased in various “Daily Essentials” combo packs. The EnerSource compensation plan combines residual matrix and unilevel commissions. The unilevel appears to be for upfront commissions whereas the matrix provides long-term residual income. Note that all EnerSource affiliates must generate 100 PV a month to qualify for commissions. PV stands for “Personal Volume” and is generated via sales to retail customers and an affiliate’s own orders. EnerSource pay matrix commissions via a 2×12 matrix. Levels three to twelve of the matrix are generated in the same manner, each housing twice as many positions as the previous level. Matrix positions are filled via direct and indirect recruitment of EnerSource affiliates. Commissions are paid based on generated sales volume, typically a combination of retail sales and affiliate purchases. EnerSource don’t disclose specifics of matrix commission rates. total of 30% residual commission on your downline’s business volume through 12 (matrix) levels. As with matrix commissions, EnerSource don’t disclose specific unilevel team commission rates. $300 Customer Acquisition Bonuses and up to an additional 10% residual commission of downline business volume. Based on EnerSource’s marketing copy, unilevel commissions paid down an infinite number of levels. EnerSource International affiliate membership is $249. There is also a $49 option, however $49 affiliates do not have full access to the EnerSource International MLM opportunity. Despite acknowledging it’s 2016 launch, for some reason EnerSource made it to Direct Selling Star’s “brand new companies 2018” list. According to the publication, Linden Woods’s nutritional company began manufacturing EnerGreens back in 2001. The product was sold through Woods’ various other business ventures. From 2016 EnerSource International has been the exclusive distributor of EnerGreens products. 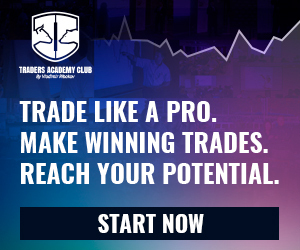 The company is upfront about what’s in its products and retail pricing is readily available. Top marks for that. I did find some of the product descriptions a bit questionable though. B-12 deficiency is a wide spread and serious problem that can cause anemia, fatigue, weakness, constipation, weight loss, depression, poor memory, asthma, low sperm count and vision problems. I get that EnerSource International aren’t directly claiming EnergFX B-12 can remedy the above specific illness and disease, however I do feel they’re being a bit disingenuous. EnergFX B-12 is a vitamin B-12 supplement. By listing those specific illnesses and diseases on their website they’re all but touting EnergFX B-12 as a preventative cure. At the very least EnerSource International should be providing links to independent studies regarding the vitamin B-12 claims they’re making. Nothing in EnerSource’s range really stood out. There was no “hook” so to speak, just generic sounding supplements. That’s not necessarily a bad thing, just make sure you compare with a few local health food stores before committing to anything. On the business side of things I don’t understand why only a few paragraphs of compensation plan details are provided. Is it really too much to provide specifics to the public? By all means continue to provide the snapshot, but full EnerSource International compensation details should also be available for those wanting to dig deeper before signing up. Based on what we do know, the legitimacy of EnerSource International’s business model hinges on the 100 PV monthly requirement. Am I going to have to beg people to buy product? Our goal is to get our products into the hands of people who want to improve their lives. The monthly requirement of 100BV ($1=1BV) will provide reps with enough product for their own needs. We only require representatives to have one customer purchasing the product outside of their home. No- you only have to maintain 100 a month in purchase or sales. From the second paragraph EnerSource International clearly intend to have affiliates purchasing $100 or more worth of product each month. The third paragraph though does state a retail customer requirement (I’m assuming that’s what “outside the home” means). I couldn’t find any additional information on this requirement, it’s only mentioned in the FAQ. If EnerSource International do require affiliates to have at least one active retail customer though, why not just make the $100 monthly PV a retail volume only requirement? That’d clear up any concerns regarding affiliate autoship recruitment, and demonstrate that EnerSource International affiliates are generating retail sales to get paid. Seems like a simple enough quick fix. In any event what you want to do is make sure your prospective upline is generating at least $100 worth of retail sales volume each month. Be sure to ask for receipts and don’t fall for the “I make private sales without receipts” trap. With respect to signing up, I don’t understand the gimped $49 option. The only difference between the $49 and $249 EnerSource International affiliate memberships appears to be access to unilevel commissions. Is that really all affiliates are paying an extra $200 for? If so that’s clearly “pay to play” and a regulatory red flag. MLM income potential should always be tied to individual and group sales performance, not how much an affiliate pays when they sign up. One last though I’ll leave you with is the question of EnerSource International’s longevity. Not to take anything away from Linden Wood’s commercial success over the years, but I couldn’t help but notice he’d launched more than a few companies. At least as far as the MLM orientated ones go, they seem to have eventually fizzled out. Two years in and EnerSource International’s Alexa website ranking is sitting at 5.8 million, which might as well be little to no activity. Might be worth keeping in mind as you’re conducting your own due-diligence.